My first childhood best friend introduced me to the combo of canned tomato soup and grilled cheese sandwiches! Since then I have eaten a variety of tomato soups including canned, boxed, restaurants and cafes. The best tomato soup I have ever tasted is made by the owner of Coolato Gelato; read my review of her tomato soup here. If you are ever in Knoxville stop by to try the tomato basil soup followed by a dessert of gelato. This easy creamy tomato soup is a quick way to get your tomato soup fix without having to leave home and without spending a long time in the kitchen. My family will sometimes tell me there's nothing to eat in the kitchen; to which my response is usually “use your imagination.” If you keep your pantry stocked you'd be surprised at what you can make in a very short time. 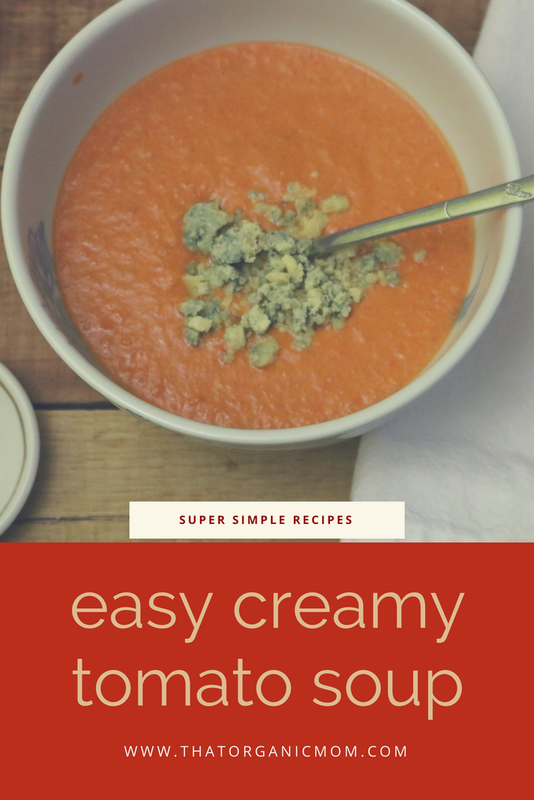 That's exactly what happened when I first made this easy creamy tomato soup. You know how it is when you need to go grocery shopping but you don't really want to? I was at that point so stretching the staples was my goal. The first time I made it I just didn't want to shop or cook so I made do with what we had on hand. Since then I've made it many times! 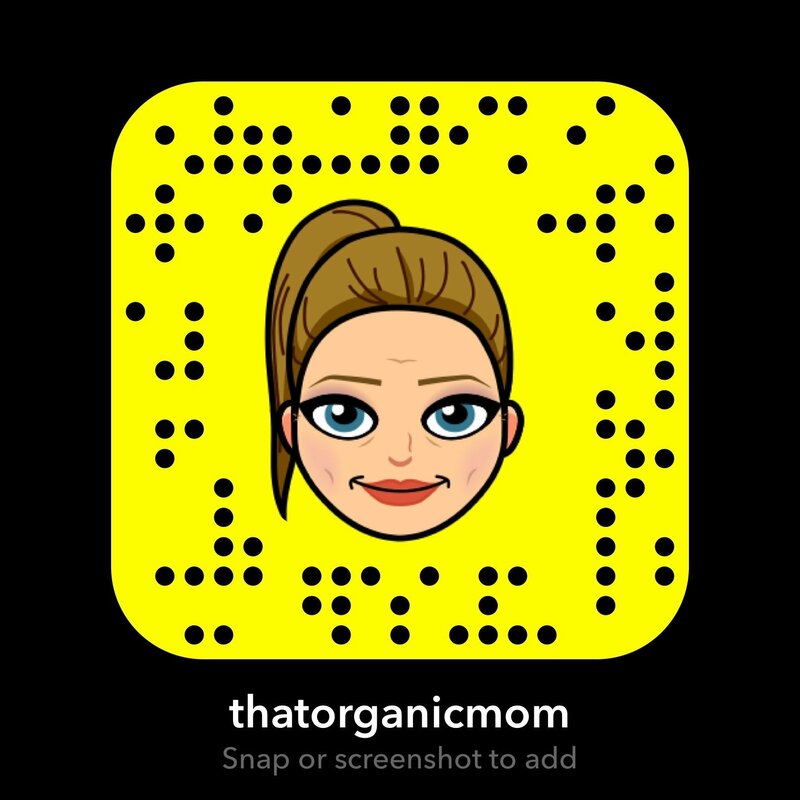 Recently, I shared this snap on my Snapchat story and it was such a huge hit that for weeks after my friends (and even some people I don't really know) sent me snaps and text photos of their tomato soup! Not sure how many screenshots of that snap were saved, but it must have been quite a few. I saved it to send to my mom and now you have it, too. 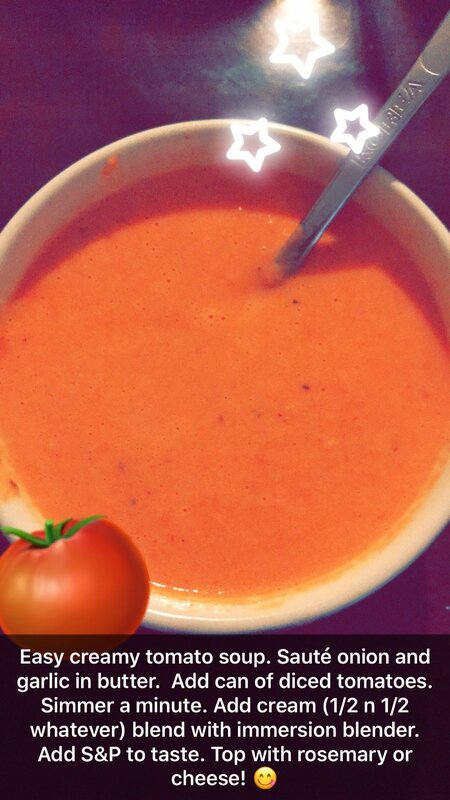 If you'd like to follow my Snapchat I'd love it if you say hi and mention this easy creamy tomato soup recipe! To be completely honest my snaps are mostly food, kids and cats…you've been warned. Here are the basic measurements if you want to make two servings of the easy creamy tomato soup. Simply double, triple or quadruple the amounts to create more servings. 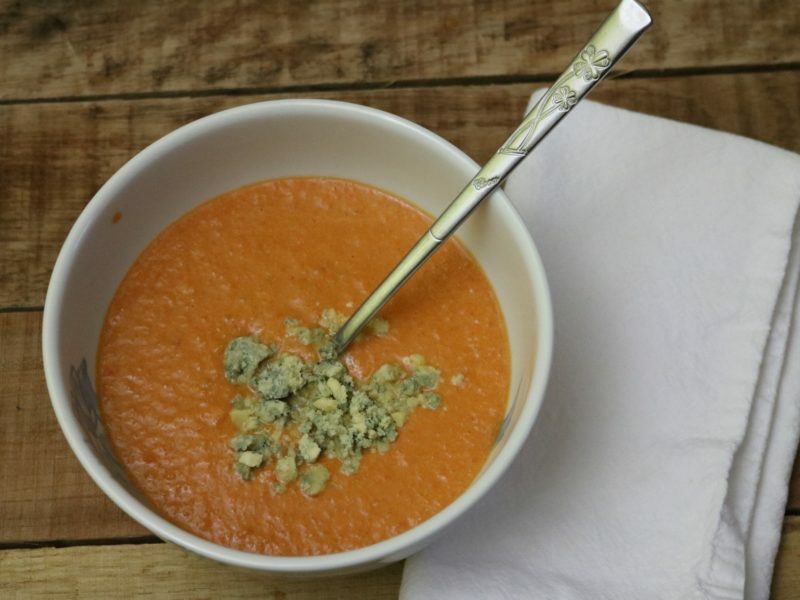 The surprisingly good tomato soup you can put together in a snap! Dice shallot or onion and garlic and add to a pan with a pat of butter or a bit of oil. Remove herbs if using and use immersion blender to smooth tomato with just a few pulses. Top with cheese if desired, Stilton or Blue Cheese, Parmesan or whatever you like. Easy Creamy Tomato Soup in a Snap came about from my Snapchat story. See what I did there?